You know pretty well how stressful it gets when you can’t figure out the best place to move to or to relocate to. This is when you are not just choosing the best apartment to live in, but the best city and neighborhood for a beautiful getaway. You won’t fail to consider some essential social amenities such as healthcare, lifestyle, weather, culture and education systems among others. “So, why should I move to Bothell?” You think. Well, in this article I take you along with me showing the unique side of Bothell, and why you might want to call Bothell home. You may have only heard about it, and yes, through the internet or friends who have been here before. I have friends living here and they were very kind to show me lovely Bothell attractions. “Do I go or not?’’ you say to yourself, or you might be curious why should you trust me or even consider my opinion. Well, the answer is straightforward – I`ve been exploring this neighborhood for about two months before I have found my new place to live. As only my lease ended, I was lucky to have a chance to stop at my best friends place for some time, before I decide where I would like to live the next year of my life. Thank you so much for this great opportunity. My friend is one of those lucky homeowners in Bothell. By the way, homes for sale in Bothell, WA – are quite in demand. But will talk about this later. I work remotely, and I don’t have a vehicle, but as you know, to have a car in the US it’s a necessary thing. Well, not for me. Let’s say in my case, a transportation system means a lot. Of course, when choosing the location to live you have to consider many things. Are you single, it’s just two of you, any kids? Alright, just read through, be the judge and discover exciting things about Bothell, Wa. Enjoy the lovely benefits that this city has to offer, the ones I have discovered while living for two months in Bothell, Washington. The first thing I have discovered that Bothell is located near two of the main freeways in Seattle. Ok, adventure awaits you then. Additionally, you can easily access both I-5 and I-405. Whether you are going to Bothell for a day or lifetime, choosing Bothell, you stay in the suburbs, away from the hurried activity of the Seattle city. Still, it will be easy to navigate through the city. Take the 522 bus, 40 minutes and there you go – right in the heart of the Seattle. While in Bothell, you can also spare some bucks by taking Lake City way and get to Seattle toll-free. You won’t pant going to Bellevue; it’s near, and you can quickly rush there for a cool breeze as well. Ones again, easy by car and even more simple by bus 535 – one of the best bus routes from Bothell to Bellevue. You won’t stay famished here; you can dine and shop conveniently and simply go back to Bothell. Settle area is known for its hottest real estate market in the entire country especially nowadays. Amazon already brought 50,000 workers to Seattle. Trust me that’s a big deal. Bothell comes in as even a hotter hotspot for this, with homes selling within an average of 20 days. Bothell real estate is a new hot spot. As we talk, many new faces in Washington are real estate investors. This is because Bothell, WA lies in what is commonly known as Real Estate Hysteria. New homes in Bothell come with a price starting around $600,000 for 4 Beds, 3.25 Baths, 2,518 Sq. Ft. which is $274 / Sq. Ft.
Not bad! By the way, consider the county, a city located in King and Snohomish Counties. The taxes may vary accordingly. Not ready to buy a hose yet? I was lucky to explore some lovely new apartment complexes in the neighborhood. Trust me you can find an excellent option. I was looking mostly only the new ones. If you are looking for an apartment the in the downtown of Bothell to rent let’s talk about a new beautiful apartment complex -THE MERC, for instance. All studios price range is $1,675, be ready to pay up to $2500 for a two bedroom apartment, of course, the price depends on the size of the unit. Have a look at some amenities at The Village at Beardslee Crossing. One of the most popular hotels in Bothell – Residence Inn by Marriott. An all suite hotel with full kitchens, daily housekeeping, daily complimentary hot breakfast buffet. A really nice place that is far from busy streets and looks very lovely to me. This hotel has a nice rating and I think would choose this hotel among the other in Bothell. Ok. Let’s explore something around – something nice just like Country village shops. Love it so much! Bad news – Bothell’s Country Village will be close in one year, and about 40 of the shopping businesses will be off. So hurry up, use the chance to visit and explore this lovely place. Here, you will find over 40 unique locally owned shops, studios, services, and restaurants. You will find duck ponds, gifts, antiques, toys and more! Charming cafes. Farmers Market is also great for food and meeting people. Just Stroll down brick pathways, relax at a spa, and find the perfect take-home gift. This is not just shopping. It’s an experience! The University of Washington Bothell campus has seen an expansion to over 5,500 students, bringing thousands of new faces to Bothell. The influx of youth and vitality has given rise to trendy and fun here. Additionally, this is a perfect choice for parents who want proximity with their children. Your child will also enjoy a more effective learning environment with affordable tuition. An alternative academic institution here is the award-winning Cascadia community college, which makes Bothell the best schooling hub. You might consider this opportunity to expand your very own educational base. When in Bothell, be sure to head over to TSUGA Fine Art and Framing in downtown Bothell which displays two- and three-dimensional artwork, custom picture framing, and an art studio for art classes. Consider Puget Sound for more galleries, along with old popular Country Village for locally owned diners, distilleries, a ferry ride, and brewpubs. It doesn’t end there; you will enjoy a spectacular view of the Olympic Mountain Range and Bainbridge Island’s renowned Art Museum. In the evening, you calmly unwind from tiresome long day activities with some music from McMenamins Anderson School. When you visit Bothell, take the chance to head out to Blyth Park. This is beautiful Local Park ideal for children plays, volleyball, disc golf areas, grills, and picnic areas. You can pack a lunch, find a cozy spot, then take in the views of the Sammamish River and surrounding foliage while enjoying some fresh air. Perfect for all who loves to tale beautiful and creative pictures. Are you a fan of wine? Now, speaking of wine, Woodinville country village is the talk of the town. You will not just have a glass of wine but will taste many of the finest Washington’s wines. Country village houses offer more than 100 wine tasting rooms, ideal for anyone looking for serious spoil. My favorite is Columbia Winery: Washington Vineyard & Winery – one of my favorite places in the area, to be honest – don’t miss your perfect wine tasting experience in Washington State! By the way, just recently Teatro ZinZannih has moved to Woodinville from Seattle, you must experience this! You can check the Seattle Times state-of-the-art newspaper production and distribution facility. Beware of the robots picking rolls newspapers, which fly off a mammoth printing press and travels throughout the building. The new Main Street is designed to add fun, convenience, and a renewed sense of neighborhood to everything downtown. Have I mentioned that the city has many lovely murals around the city? And the symbol of the city is the bridge? Here, you get to enjoy amazing street-level outdoor dining and shopping experiences. In Bothell, you can have a unique adventure in shopping. For unique hard-to-find gifts and housewares, Bothell’s boutique shops offer a great way to spend bucks. For instance, Se Lyn Boutique and Sankara Imports on Bothell’s Main Street are a perfect stopping point. When hunger strikes, enjoy a fantastic burger at The Bine. If you are in downtown Bothell don’t miss a chance to visit one of the best bakeries in Bothell – Hillcrest bakery, a family owned and operated since 1965. This bakery has quite an interesting life story that has started back in 1838 in The Netherlands. Three generations of bakers at Hillcrest Bakery are devoted to the quality, tradition, and artistry of bakery. “Making life in Bothell just a little bit sweeter” – The Kaskes Family Says. How about the Tea Party? I have a super unique and fairyland place for you – Graham’s RoyalTea is a very special, one-of-a-kind Tea Party Venue & Boutique. Imagine yourself Alice in the Wonderland that all I can say – let your all dreams come true. Stylish, beautiful truly authentic place offering you an amazing Tea party experience. Do you love watching nature in motion? The Sammamish River Trail is the right spot to check out. This trail is popular with walkers, joggers, bikers, and rollerbladers. The scenery is just breathtaking, with the trail itself dropping you right off into downtown Bothell. You can then enjoy a bite in the evening as you unwind from the days’ work out. Bothell is also located close to Steven Pass Mountain Resort, where you can do Skiing, riding, mountain climbing and hiking, ideal for outdoors enthusiasts.out this place. In my case its significant fact to consider. Hello, I am a snowboarder! Want an evening to remember? Then try this very relaxing and peaceful park in Kirkland. From swimming to the surrounding landscape, it offers a great atmosphere for families, couples or friends to relax and build lasting memories. That’s if you are traveling by car, it will be a bit more complicated to reach Kirkland by bus, but still possible. Are you convinced yet? Well, these are a few places you shouldn’t miss when you visit the city. Depending on the time of your visit you may catch up some beautiful events in greater Seattle area. The city is obviously has been actively developing, businesses are welcomed. I have some lovely stories to tell about Bothell, therefore stay tuned! 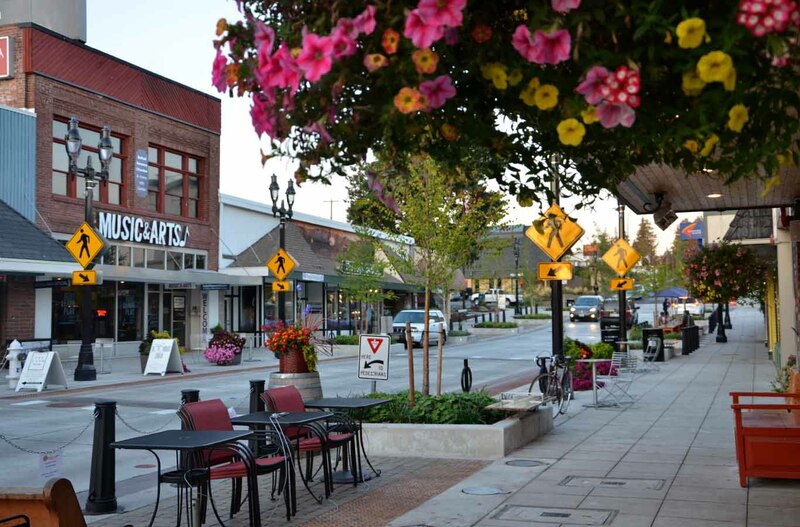 When ready, be sure to explore Bothell for a fantastic rural feel, coupled with a positive urban vibe. I love it and totally understand why people choose to move to Bothell, WA. I would say it is a beautiful city for a family.